On ASA NAG Synchro day two, there was 12yrs and under Duet one-two for Reading Royals as well as a third medal in the 15-18yrs solo. The first event of the afternoon session saw those who qualified from this morning’s Figures event competing for national honours in the 13-15yrs Solo competition. It was City of Bristol swimmer Kate Shortman topped the points table with a total score of 144.4334. Her routine to the music from Carmen showed excellent poise and control in the execution of technical elements. The dramatic performance scored 71.3667, securing her second consecutive Solo gold at the Championships. Speaking after the event, a delighted Shortman said: “I’m really excited to win today! Performing well at National championships is great experience for international events as it allows you to refine the important skills in your routine. Shortman’s duet partner Isabelle Thorpe also impressed both the crowd and the judges with her performance of Edith Piath’s ‘Non, Je ne regrette rien’. She scored an impressive 70.8333 for a total score of 141.9277. 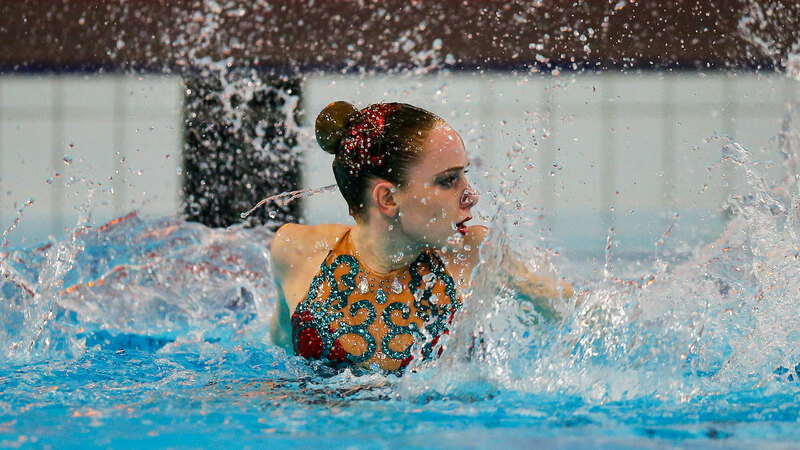 It was Stockport Metro’s Sophie Freeman who followed up for the bronze medal, scoring 63.4667 for her poignant routine to Adele’s ‘Turning Tables’, taking her total points score to 131.2167. In the 12yrs and under Duet event, it was a Reading Royals SSC one-two, with gold and silver finishes for their young duetists. The top spot went to Mimi Gray and Alyssa Basinger who performed a fast paced routine to the ‘Lone Ranger’, showing great synchronisation and use of pool space. They scored 60.7667 to take their total after this morning’s figures of 125.5040. Speaking after the medal presentation, Gray said: “Our goal coming into the competition was to win so we are very happy to have achieved that. Their teammates Isobel and Eleanor Blinkhorn also showed strong synchronisation with intricate details throughout their ‘Swinging Sixties’ inspired routine. The two girls finished on 58.3333 for a total of 119.7844. City of Bristol’s Jessica Smith and Grace Cruickshank took the final spot on the podium, finishing on a total of 115.9174 after their routine to ‘Cocktails for Two’ scored 55.2000 points. 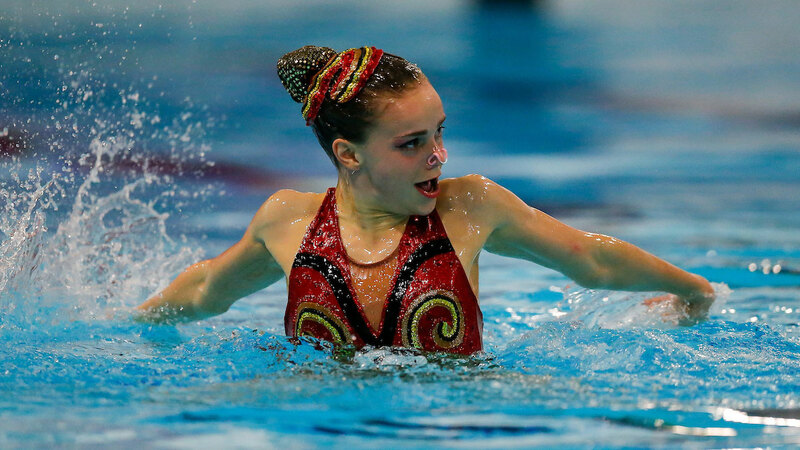 Hannah Randall of Rushmoor Synchro showed her technical ability in the 15-18yrs solo, with great expression and good control. She scored 71.5333 with her interpretation of Christina Aquilera’s ‘Bound to You’ to take the win with 143.3351. Speaking after the event, Randall said: “This is a new solo routine, I only choreographed it a couple of weeks ago so I think that today’s performance was the best I have done so far. Randall was followed closely by Emma Critchley of Reading Royals SC who swam a well-executed routine to ‘Soon Will be Found’ by Sia. Her power out of the water and great flexibility scored her 71.9333 from the judges, giving her a total of 140.3905 for silver. City of Leeds’ Rebecca Richardson claimed the bronze medal with a total of 136.3973, after her performance to ‘I Put a Spell on You’ scored her 69.1000 thanks to some great creative movement and height in the technical elements.